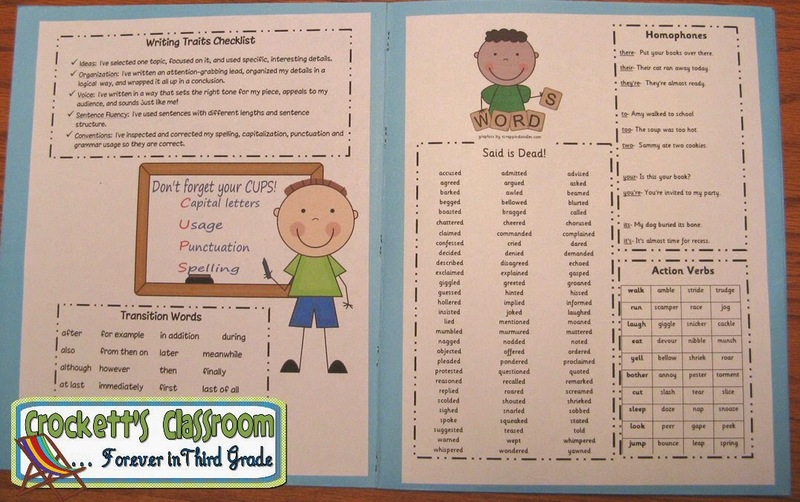 I love using writing folders in my classroom. In late summer, as soon as Walmart and Target stock their Back-to-School aisle I look for their specials on pocket folders. I can usually find them priced at 10 for a $1. That's when I put my writing folders together. 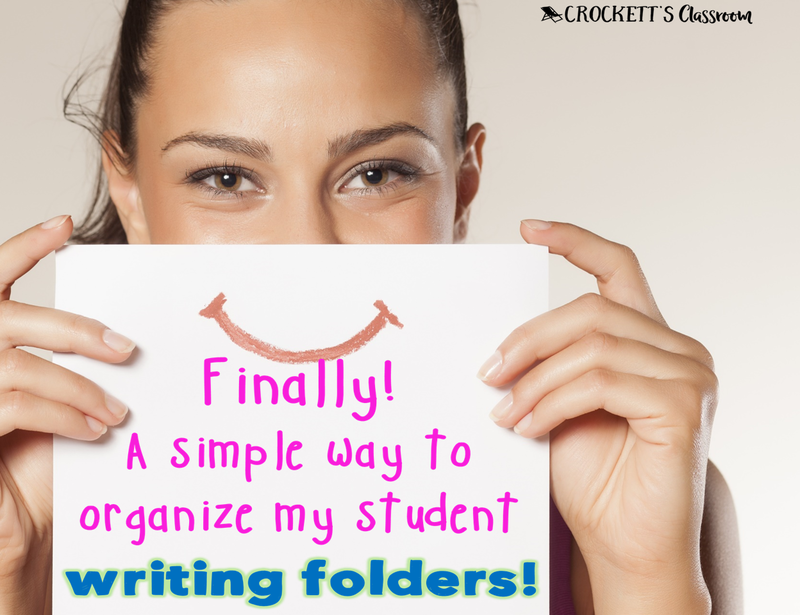 They are a super handy way for students to keep their writing projects organized. 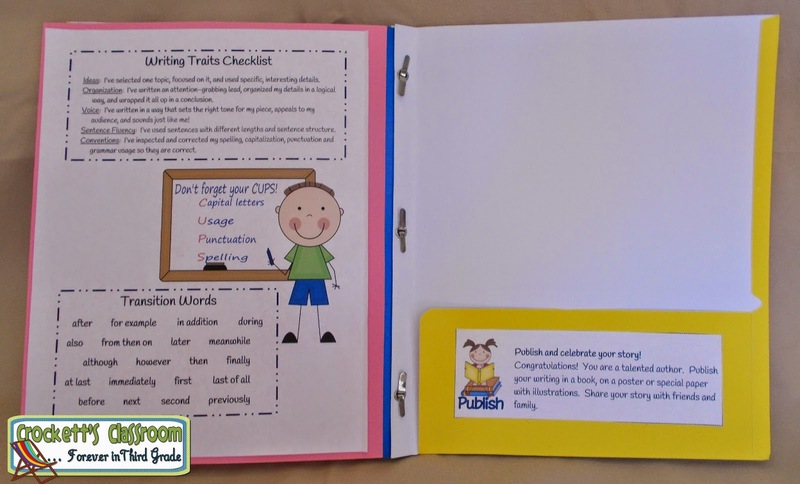 Putting two folders together gives you 4 pockets-perfect for the steps in the writing project. 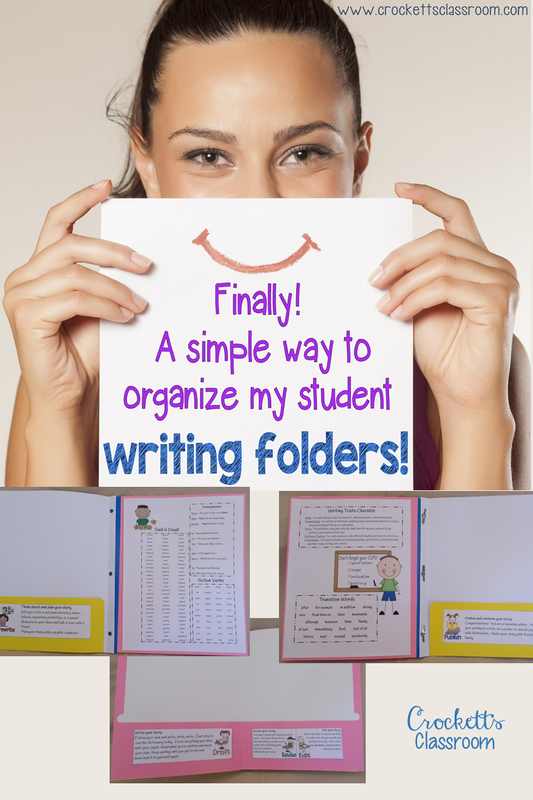 What I love the most about these folders is they are so easy for the students to use. 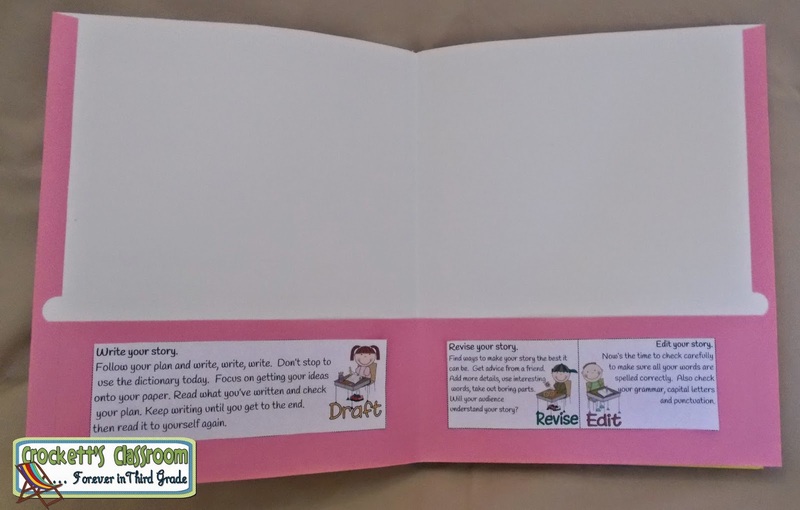 When they're working on their pre-planning with graphic organizers or drawing a picture they can store those pages in the first pocket. Then when they're working on their first draft the paper goes in that pocket. As they move through each step of the process they move their paper to the next pocket. The folders were stored in a basket on my counter. That way I could look through any folder to check on a student's progress. 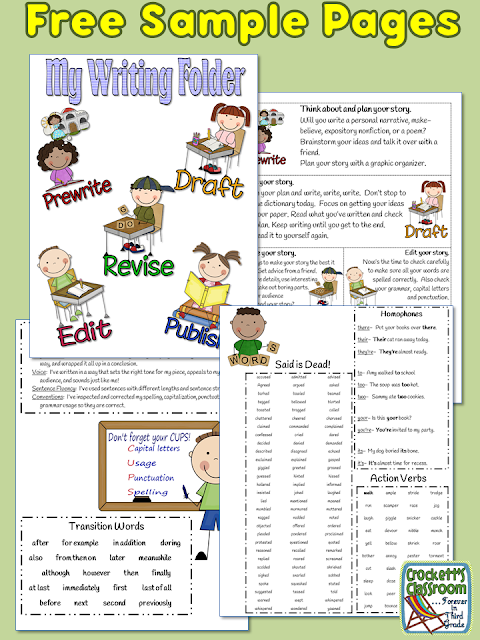 Also, I had fewer students mysteriously loose their papers through the writing process. 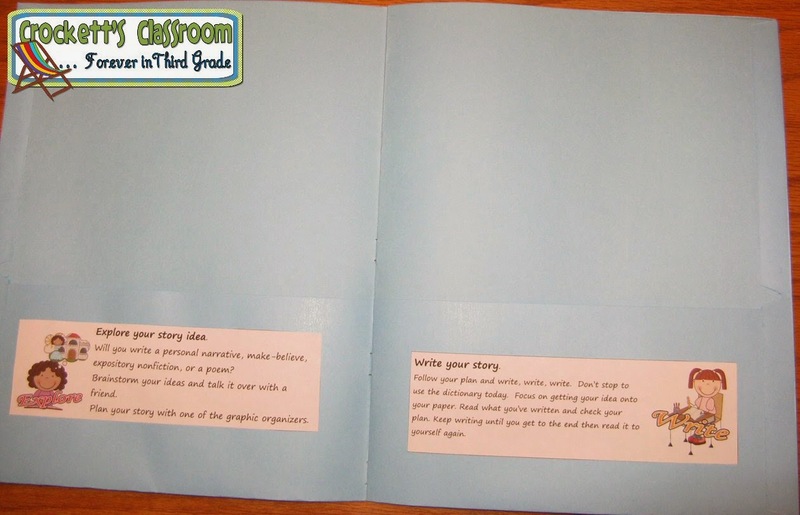 When one writing project was finished and published we took out all the papers, stapled them together and put them in a portfolio that held student work until the end of the year. 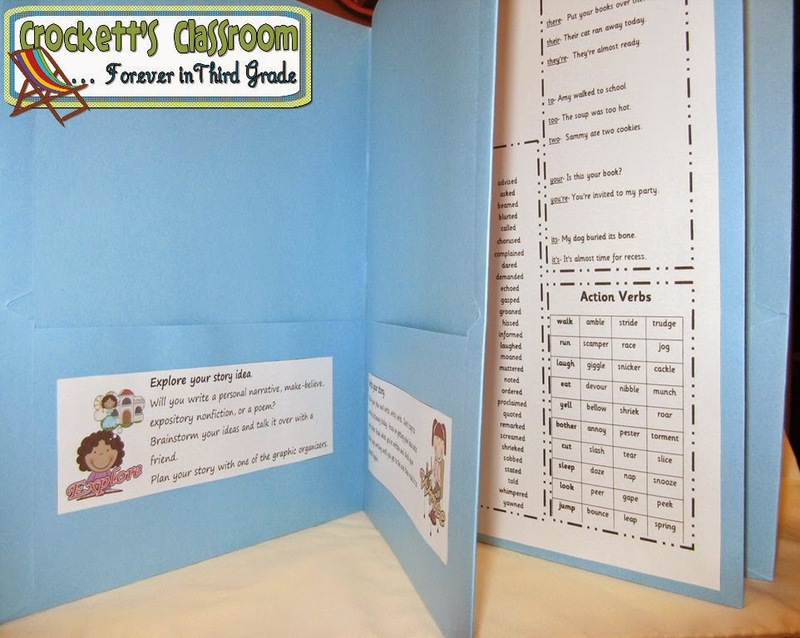 When I made mine several years ago I used two plain pocket folders (without the center prongs). I turned one folder inside out so the pockets were on the outside. Then I opened both folders and placed one on top of the other with the pockets facing each other. With a long arm stapler, I stapled them down the center crease. Long arm staplers are expensive, about $30 at Staples, but I used mine a lot. 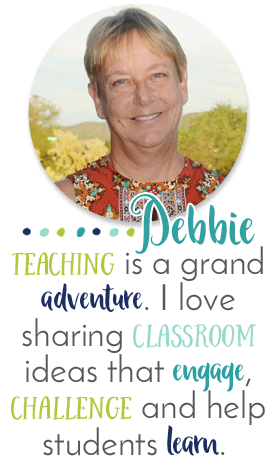 You might see if there are several teachers in your building who want to go in together to share the cost. Here you see the center section. This shows two of the pockets, the other two pockets are behind the center section. One thing I liked about using this style of pocket folders is I could laminate each folder before I stapled them together and they lasted for several years. But, I saw an idea on Pinterest that used one folder with the center prongs and one plain pocket folder. 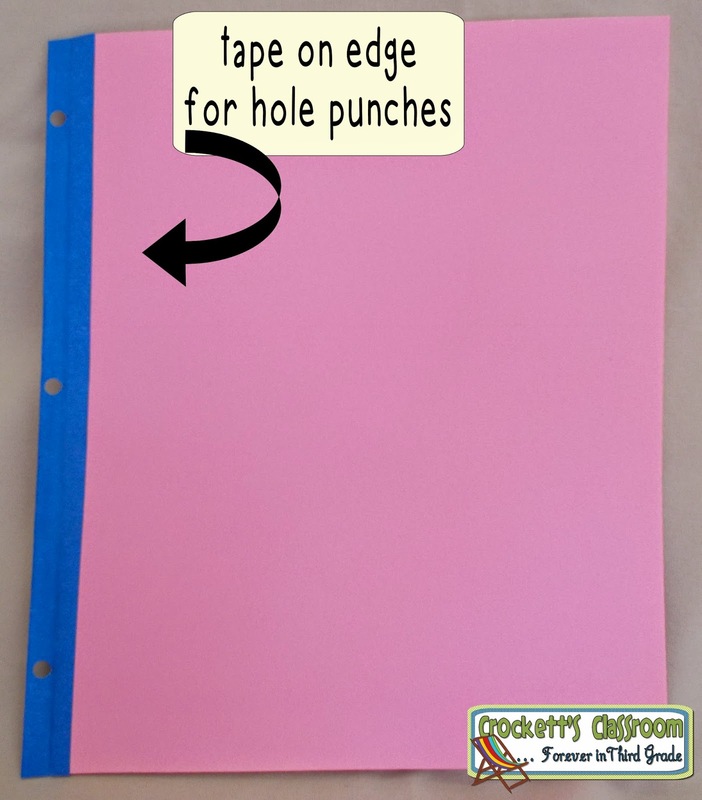 You punch holes in the plain pocket folder and clip it into the center of the pronged folder. I liked the idea because you didn't need a long arm stapler, so I tried it out. On my first try, the folder in the center was clipped in too far, which decreased the size of the pockets and a piece of paper wouldn't fit. So then I added some tape to the edge of the folder and hole punched the tape. You can now put papers in the center pockets, but the center folder sticks out. Not sure I like that. The inside parts look great. 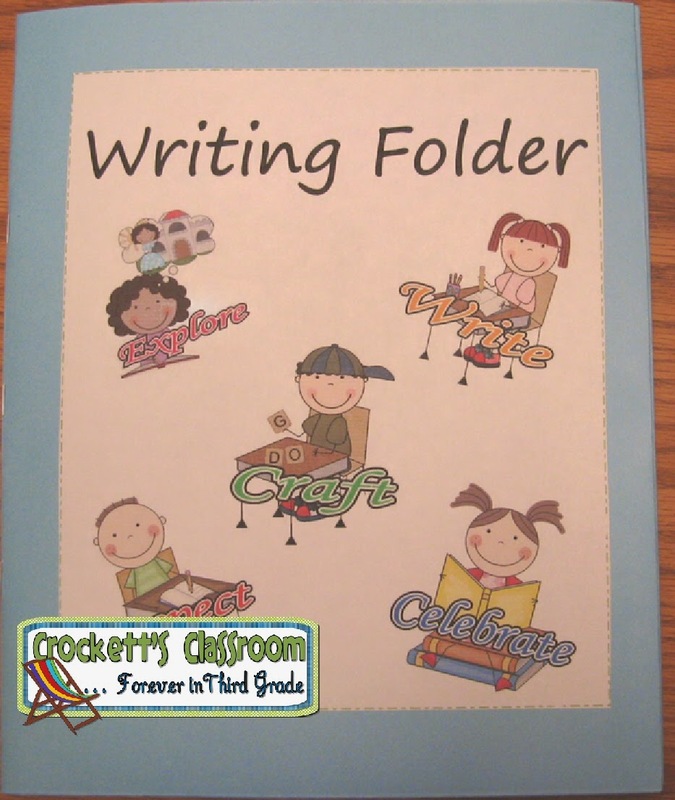 Maybe someone else will figure out how to make the perfect writing folder, until then, you're welcome to try this idea. 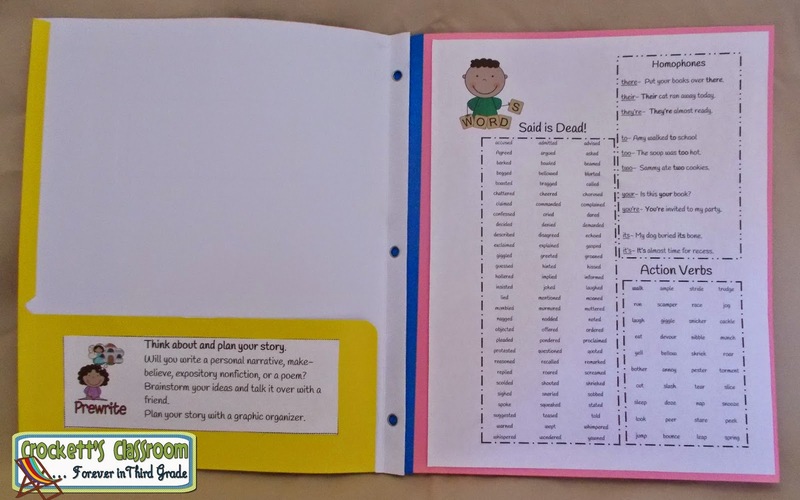 Click here to download the pages to print for the cover and inside of the folder. 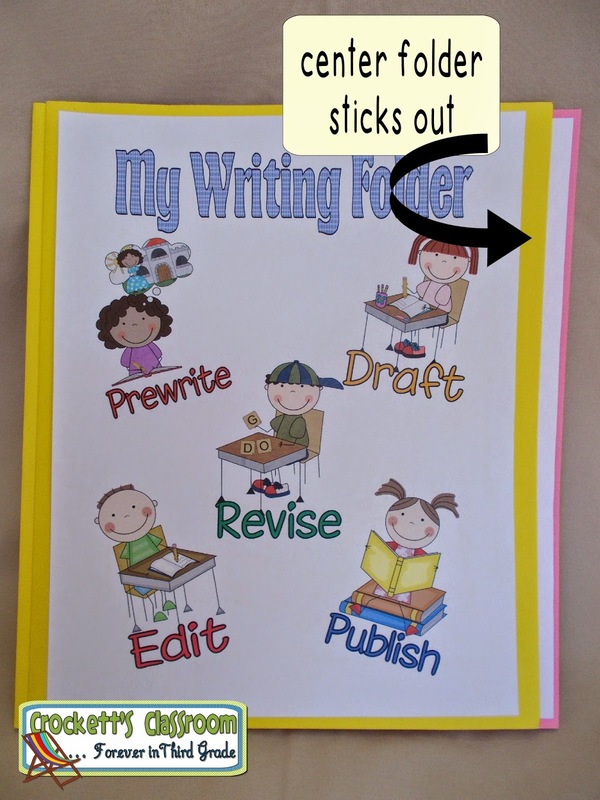 How do you organize your students' writing projects? 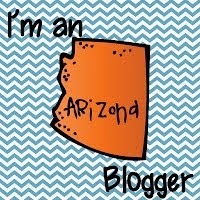 If you have a blog post about organizing student writing or a money saving idea for the classroom please link up and share with everyone!